Stellar Phoenix Data Recovery is a professional data recovery application. 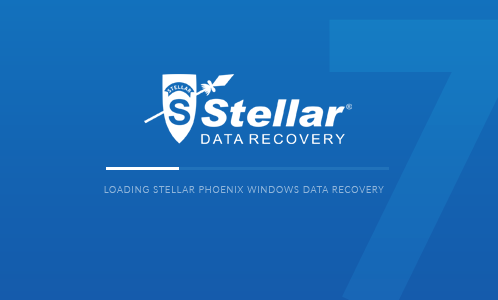 Stellar Phoenix can recover lost, deleted, or inaccessible data from Windows based computers. 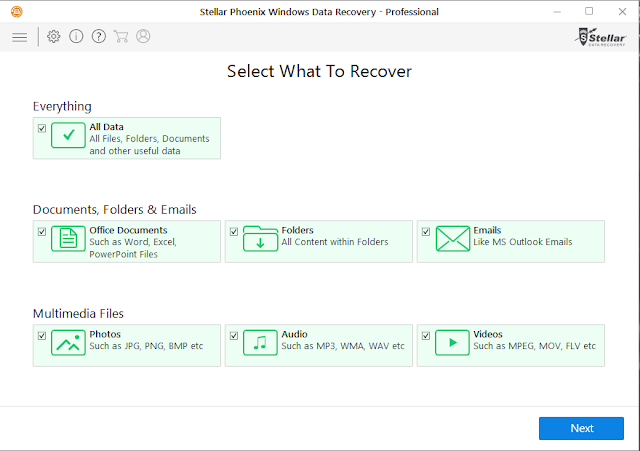 The efficient hard disk recovery software supports various useful file types including MS Office files, image files, video files, and music files, which are lost due to accidental deletion or formatting/corruption of Windows based volumes. The user interface offers a simple menu with two options; What To Recover and Where To Recover Drive. You first select the drive where you want to recover data, then choose from two levels of scanning; Quick scan and Deep Scan. 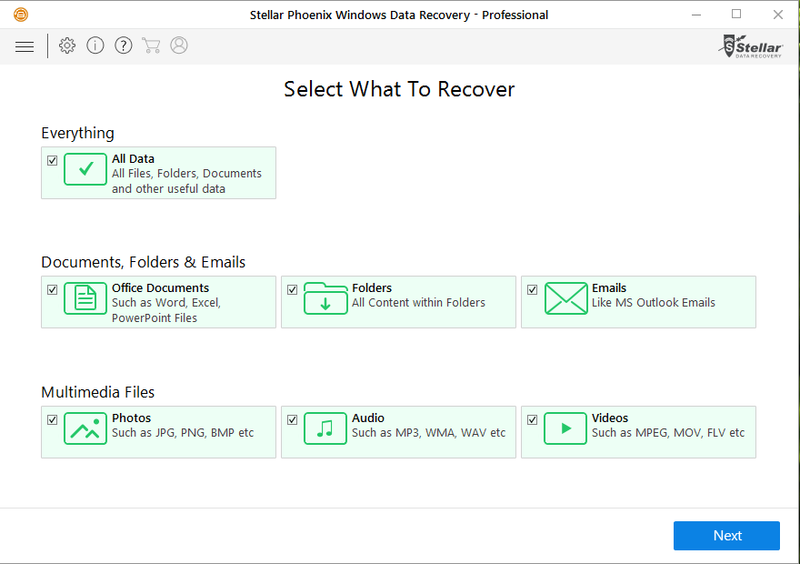 "Wondershare Recoverit is another pro data recovery app"